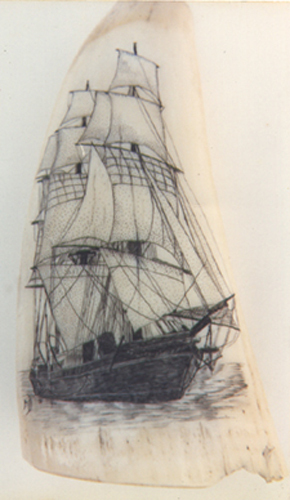 Accomplished on a sperm whale tooth. Below is a portrait done on a set of .45 grips. 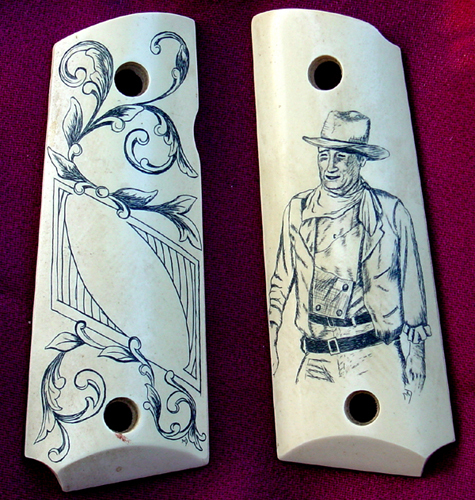 The grip medium is poured polymer ivory. Done on a katana handle of white micarta.